Want to have something cute and funny around? 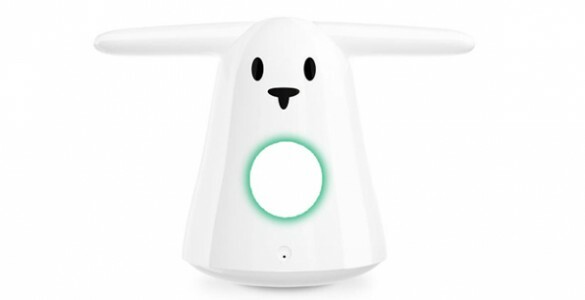 Why not try a cool Wi-Fi voice activated bunny? Think about all the pranks and cute giggles you will have with your friends in the company of this wacky little fella. Karotz is the coolest robot ever and definitely not one that that would take over the world, but a cute one that will be your friend forever. It’s a cute bunny that has a lot of apps available which can definitely make the time you spend with it more fun. The cool thing about this cute little bunny is that you can make sure that you keep all your social networks up to date with what you are doing. You can easily publish different status updates and it even plays music. There are no limitations in terms of online social with this cute little toy. For example, you can get two bunnies and marry them and you will get what the other person is doing with their bunny. Another cool thing that the bunny does is the fact that it can even publish photos, but you can alsospeak to it, so if you ever feel lonely you can simply talk to the robot, who knows maybe the bunny is wise and will offer good advice. Apparently this is one of the smartest gadgets on the block and it will also do its best to entertain you and ease whatever work you are doing. However, you should be careful, you might ignore work and spend time with the bunny because it’s so adorable. You can even use it as a monitor device with the help of your other gadgets such as iPhone, iPad or Android devices. For example, it can monitor if your child has arrived home from school. And what’s cool about it is the fact that it receives voice commands. You can use it as a clock, as a language teaching tool, and play with about 400 apps that will make everything more fun. This is a cool gadget not just for you, but also as a special gift for a special person.